Get valuable information about how to pay for college using financial aid and scholarships. This year, we’re investing over $5 million in additional scholarships. Apply free of charge at an application workshop. Tour campus and residence halls to get a real feel for life at NIU. Learn more about the academic programs, services and student organizations that interest you. Personal Attention: When you study here, you receive individual attention and assistance so you can graduate with the knowledge and connections you need to get the job of your dreams. Strong Community: With more than 300 student organizations, NIU offers something for everyone. Choose the activities and join the clubs that interest you so you can make NIU your home away from home. Location: We’re only 65 miles west of Chicago, so you can get a big university education that’s close to home. 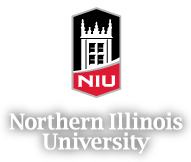 Watch more reasons to choose NIU. Who should attend Open House? Anyone interested in attending NIU, and we welcome family members and guests, too. Prospective students can register up to three guests. Does it cost anything to attend an Open House? No. This is a free event.